Big news in my Baltimore ‘hood. The Senator theater, one of the last remaining Art Deco theaters in the country that still has its big main screen, reopened last night. It’s been completely restored and renovated by the people who own the Charles Theater, and now has three smaller screening rooms added and is located in the heart of Belvedere Square which is full of other awesome shops and restaurants. Here are a couple of recent news stories about the reopening. Concurrent with the opening of the theater, Spike Gjerde, owner of Woodberry Kitchen and Artifact Coffee in the Hampden neighborhood, has opened a new “diner-style” restaurant called Shoo-fly. His restaurants are amazing and focus on local sources for all the ingredients. 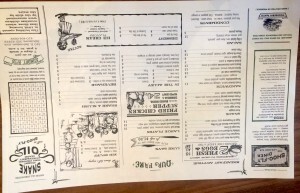 I’ve attached a photo of the “soft-opening” menu from this week. It changes often as the seasons change and the chef innovates. Both of these join Belvedere Square, a european-style market square that T and I lucked out to buy our house near. 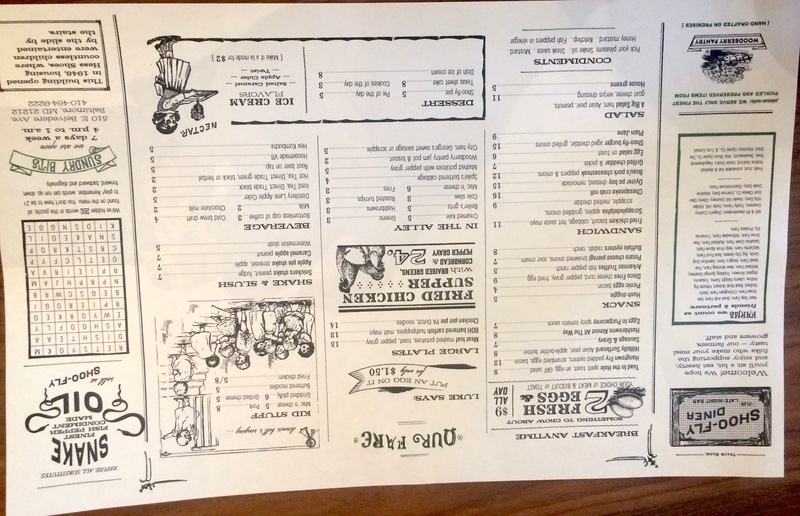 It was already a fabulous place, but they’ve recently renovated as well, adding larger outdoor seating areas with umbrellas and awnings and new retro sign painting. T and I go there 2-3 times a week for Atwaters soup and bakery, Neopol Smokery smokehouse, Ceriello’s italian market, Planet Produce produce stand, Grand Cru wine bar, Ikan Sushi, Dutch Floral Garden florist, Matava shoes, Neuveau furniture and decorating. Zen West tex-mex bar and restaurant, Ryan’s Daughter Irish pub and restaurant, etc.